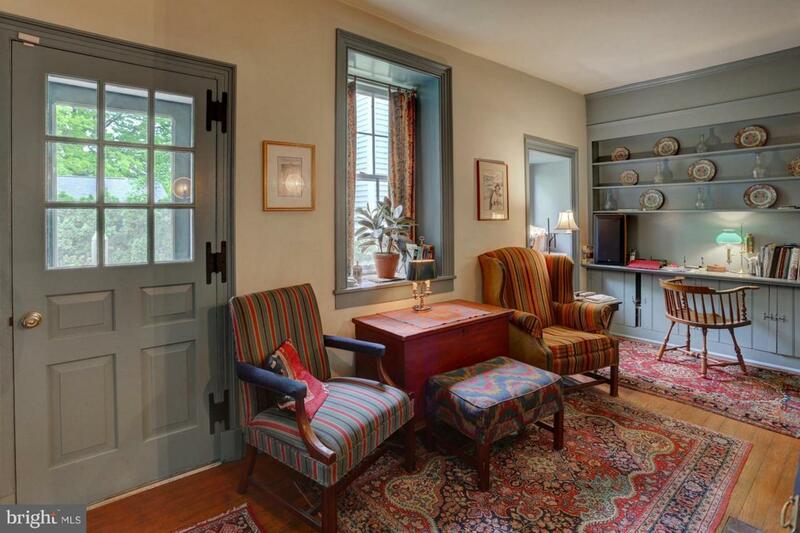 Located in the heart of Lititz, "America~s coolest small town," stands a one of a kind historic property. 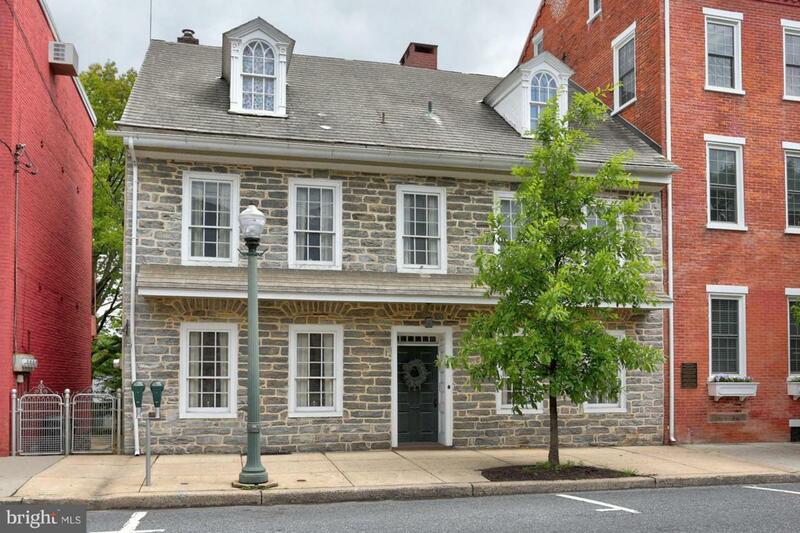 It is an opportunity to own and make the next chapter in the history of the oldest home in Lititz. This historic dwelling is in the center of it all, allowing walking distance to shopping, businesses, and entertainment. As you enter this stone residence, you will immediately feel the intense history and old-world charm; like a time warp back to the 18th century with a bonus of modern conveniences. 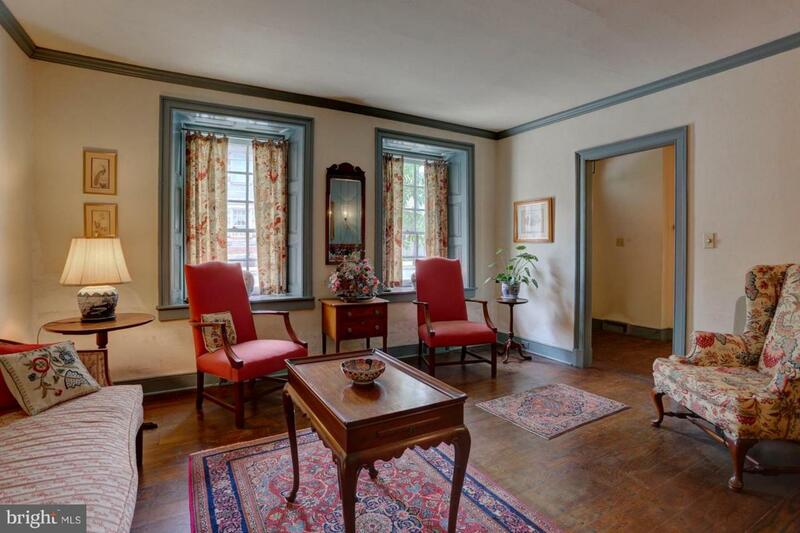 From the hardwood floors to the antique finishes, this property is full of pride, charm, prominence. Just off the front door is a family room that boasts a wood burning fireplace, crown molding, and exposed beams. On the other side of the hall is a dining area with crown molding, chair rail, and deep window sills that overlook the main street and sidewalk. A swinging door with blown glass leads from the dining area into the kitchen that boasts exposed beams, a walk-in pantry, and access to the rear patio area. The kitchen comes equipped with a Frigidaire electric cooktop stove, an LG fridge, and a GE dishwasher, as well as a wall oven and a built-in GE microwave. The hall from the front door leads to the unique and cozy den that features a wood burning fireplace, built-in shelves, and deep window sills. 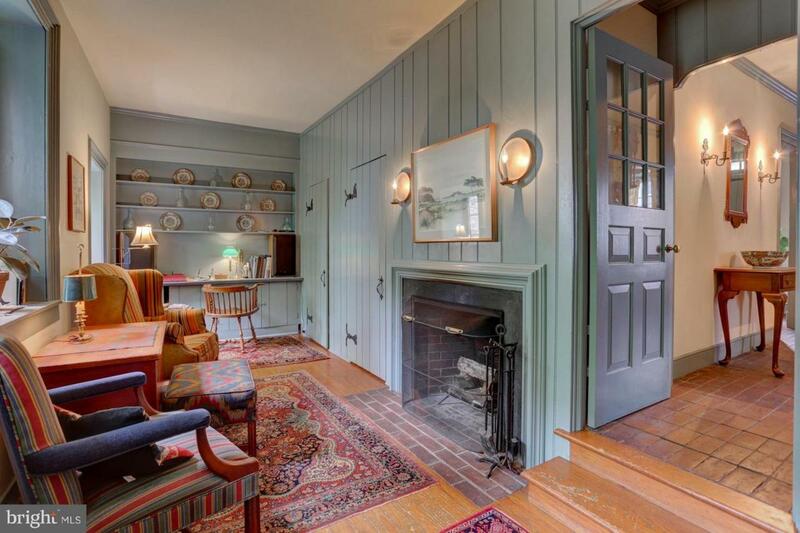 This room could be used in a number of different ways such as, reading a book, having a cup of tea with a friend, or it can be used as a study for working next to the fireplace. The upper level hosts 2 bedrooms, 1 full bath, and a bedroom/office with a walk-in closet that has a large window overlooking the back of the property. Plus, there is a door to the balcony that also overlooks the patio area. The next level consists of a private in-law type quarters with a bedroom, full bath, and a living room area. The exterior features a flagstone patio with a path leading to the 2nd building that is currently being used as a medical office, with a bonus of having 2 parking spaces at the rear of the property. With many uses and full of character, this property is just waiting for you to enjoy and add to its history.